^ 1.0 1.1 Population and dwelling counts, for Canada, provinces and territories, 2011 and 2006 censuses. Statcan.gc.ca. 2012-01-24 [2012-04-03]. ^ Gross domestic product, expenditure-based, by province and territory. 0.statcan.ca. November 10, 2009 [October 6, 2010]. （原始内容存档于2008年4月20日）. ^ Scottish Settlement. 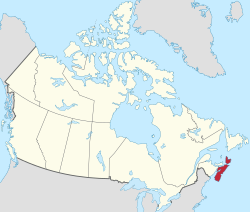 Novascotia.com. Retrieved on 2013-07-12. ^ Ted Harrison. O Canada. Ticknor & Fields. 1993. ^ Maritime Museum of the Atlantic Sable Island Lifesaving and Ship Wrecks Info Sheet 互联网档案馆的存檔，存档日期2012-10-31.. Museum.gov.ns.ca (1999-07-27). Retrieved on 2013-07-12.